Optomechanical components from Qioptiq give you high-precision engineering for innovative optical solutions in science and industry. The top-quality mechanical components from Qioptiq make up one of the world's most comprehensive assortments of optomechanical products. 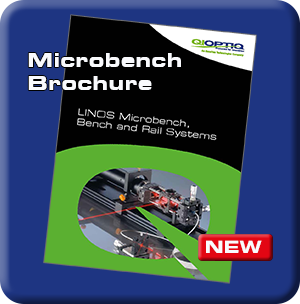 The unique LINOS Microbench system, wich is a cage system with steel rods, mirror mounts, posts and holders as well as profile systems, rail systems and positioning systems are just a few examples.